ZIMBABWE – Three more Mutare police officers have had their salaries garnished to pay a total of $900 damages after they broke into a cellphone technician’s house at night and beat him up for allegedly stealing some property. The payments from the officers will compensate the victim. Constables Christopher Kanyemba, Chenjerai Muzuva and Talent Mutede of Chikanga Police Station, broke the bedroom door and pounced on Mr Prince Mbofana who was lying naked with his wife before force-marching him to the police station. The garnishee orders were issued barely a fortnight after another constable at Zimunya Police Station in Mutare, brutally assaulted and unlawfully arrested a villager. He was sued and ordered to pay the victim $1007 as compensation. The flood of lawsuits against police officers in their personal capacities stems from Section 50(9) of the Constitution of Zimbabwe, which makes all abusive and overzealous police officers liable for their own illegal actions. “Any person who has been illegally arrested or detained is entitled to compensation from the person responsible for the arrest or detention, but a law may protect the following persons from liability under this section: a) a judicial officer acting in a judicial capacity reasonably and in good faith, b) any other public officer acting reasonably and in good faith and without culpable ignorance or negligence”. In terms of the Constitution, those public officers who unlawfully detain or arrest people are liable to personal lawsuits. The law only protects police officers acting reasonably and in good faith. A Mutare magistrate Mrs Yeukai Chigodora ruled against Kanyemba, Muzuva and Mutede in the civil claim and ordered them to pay $900 in damages for unlawful arrest, pain and suffering caused on Mr Mbofana. In terms of a garnishee order issued on February 1 this year, the three will pay $300 each to Mr Mbofana. They will each have $50 deducted from their monthly salaries for five months. Mrs Peggy Tavagadza of the Zimbabwe Lawyers for Human Rights represented Mr Mbofana in the court case. A total of $150 ($50 from each police officer) will be transferred into Mr Mbofana’s CBZ Bank account monthly. Mr Mbofana told the court that he was severely assaulted by the three at the police station on March 3 last year. He told the court that the police broke into his house at midnight but later released him without any charge around 5am the following day. Mr Mbofana sustained injuries and the police gave him a letter to enable him to go for treatment. The police officers, in their defence, argued that they were acting in good faith and they picked Mr Mbofana up following tip-offs from the suggestion boxes that he had stolen some property. However, the magistrate found that the police officers were not acting in good faith and that they were abusing their powers in the unlawful arrest, detention and assault. “The plaintiff managed to prove his claim on a balance of probabilities,” said Mrs Chigodora. “To start with, the defendants do not deny they detained plaintiff from midnight to 5:30am. Neither do they deny that he was released without any charge. Mrs Chigodora said the police officers confirmed knowing Mr Mbofana prior to the arrest and where he stayed, hence there was no justification in raiding him at midnight. “More so, if defendants wanted to interview the plaintiff, I see no reason why they had to take him at midnight considering that they admitted they only looked for him once in the afternoon and failed to find him,” she said. This comes after Constable Tafara Depute of Zimunya Police Station, who brutally assaulted a villager and subjected him to unlawful arrest and detention, will, for the next 10 months, have $100 deducted from his monthly salary to pay up damages of $1 007. 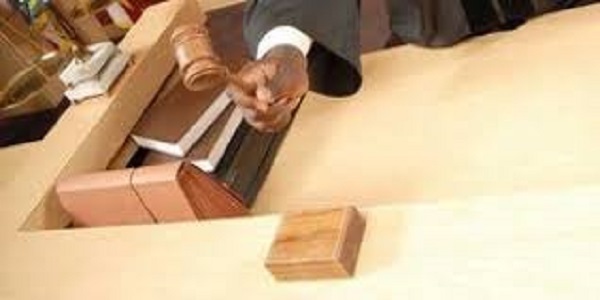 A Mutare man Mr Samson Jackson, who was once arrested at Zimunya Police Station for insulting some Zanu-PF officials, sued the policeman after being brutally assaulted. In a related case, a Bindura University student Mr Luckson Munyai is suing the police for $51 503 after he was assaulted and broke an arm. He sued then Home Affairs Minister Kembo Mohadi, Commissioner General Augustine Chihuri, Inspector Mutizwa and Sergeant Nleya in their official capacities. The case is yet to be set down for hearing at the High Court.